How to make yogurt in a slow cooker without the function "yogurt"
Yogurt is the perfect complement to dessert. Not only delicious but also very healthy treat. For those who do not trust the yogurt industrial production it is possible to do it yourself. The basis for the starter cultures can be purchased at the pharmacy, it may be a dry leaven as: "Narine", "Evitaliya", "Bifidumbacterin or Lactobacterin". Thus, it can be any substance containing a live beneficial bacteria, able to reproduce. Boil 2 liters of milk (take any fat), cool to a temperature of 37-42 degrees. Remove the formed foam. Add the milk 1 serving purchased dry yeast, pre-spreading it in warmed milk. Thoroughly mix the resulting composition. Tightly close the container with the contents cover. Dishes with fermented milk wrap 3-5 layers of thick paper, cover with a thick cloth and place in a warm place for fermentation for 11-13 hours (for example near the battery or heater). Pre-cool, put in refrigerator for a couple of hours. After that the starter can be used for making yogurt. - one third for the subsequent preparation of new portions of yoghurt (current starter), leave in the fridge. For making another batch of yogurt boil 2 liter milk, cool to a temperature of 37-42 C, remove the formed foam, add a clean spoon two-thirds Cup of the existing starter, and stir and close the lid. Dishes with fermented milk wrap 3-5 layers of paper, wrapped in a thick cloth and place in a heated room for 8-9 hours for the fermentation. Then put in the refrigerator. After 3 hours the yogurt can be used in food. Remaining current starter to use the same algorithm on the basis of two thirds Cup per 2 liters of milk. Initially, the resulting ferment can be used up to 18 days. Given the ability of beneficial bacteria to easily acquire pathogenic character - always use only clean utensils and wash your hands thoroughly before beginning work. In the yogurt maker you can cook besides yogurt, and other dairy products. Very tasty and useful work in her homemade kefir, thick sour cream and a wonderful cheese. To prepare sour milk, take 1 liter milk and 200 g of sour cream as a starter (or leaven ready "Stratos"). Pour milk into the pressure cooker and boil it until then, until it becomes a cream color. The fire should be minimal. Be careful that the milk does not burn and all the time it stir. Ready cool the milk to 40 ° C, add the cream, stir and pour into clean, sterilized jars or cups, put in the yogurt maker and leave for 9 hours at 30oC. Put the finished yogurt in the fridge for a couple of hours. The more fat content of milk, the thicker will be the finished cheese. To do in yournice delicious cheese, prepare 1.5 l of milk, 100 g of cottage cheese, a tablespoon of lemon juice. Mix milk, fresh cottage cheese and lemon juice until smooth. Pour the mixture into a device for draining, which are provided in the cups. Select in maker mode making curd, set a cooking time of 12-15 hours. Once the product is ready, turn off the device for draining to ensure that the cheese could drain. Wait 15 minutes and then separate the serum. Refrigerate the finished curd in the refrigerator for 4 hours. In the yogurt maker you can cook homemade sour cream. You will need: 1 liter of cream (18% - 30%) for yeast - 500 ml sour milk or a lactic starter culture ready. Mix the cream and starter culture, whisk slightly, so that the mixture was uniform. Prepare clean jars, pour into them the mixture. Place jars in yogurt maker and set the timer for 7 - 7.5 hours. Remove the finished sour cream and place in fridge for 1 hour. Try to make using a yogurt maker fermented drink Bifivit. It has a delicate taste and is useful for adults and children. For its preparation you will need: 1.5 liters of milk, 1 jar of leaven "Bifivit", 2-3 tablespoons of raspberry jam, cherries. Thoroughly wash the pan, rinse it with boiling water and pour the milk into it. Put it on the fire, bring to boil and simmer for five minutes. Prepare the jars from the yogurt maker: wash and pour over boiling water. Cool the milk to room temperature. Add to it the starter and mix thoroughly. Pour the milk in the jars, put them in the yogurt maker. Turn it on and set the timer for 6-9 hours. The cooking time depends on the desired thickness of the drink. If you need a more creamy, increase the cooking time. Put the finished drink in the fridge for two hours. Before serving, put in "Bifivit" raspberry jam, cherries. Yogurt is not only tasty, but healthy Breakfast. Due to bacteria fermented milk product has a positive effect on the gastro-intestinal tract and metabolic processes that occur in the body. 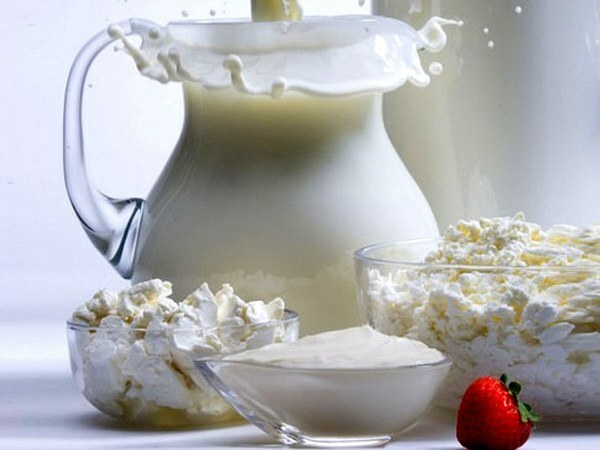 In addition, not all know that the most popular sour milk product acquires the flavor and texture as a result of fermentation process of whole or skim milk. First of all, it should be noted that lactic acid bacteria during the fermentation process affect the lactose, resulting yogurt gets better absorbed and does not cause allergic to milk protein. Today, in any store you can buy several types of yogurt: fat and fat-free, with various fruit additives and without them. But, of course, the most delicious natural yoghurt home-made. By the way, you can cook both ordinary and low fat product. For example, among the obvious advantages of fat-free yogurt include low in saturated fat and cholesterol, but, however, a high concentration of calcium, phosphorus, selenium, zinc, potassium, vitamin B5, B2 and B12. The only disadvantage of yogurt can be high in sugar, which is easily controlled, if the yogurt prepared at home. 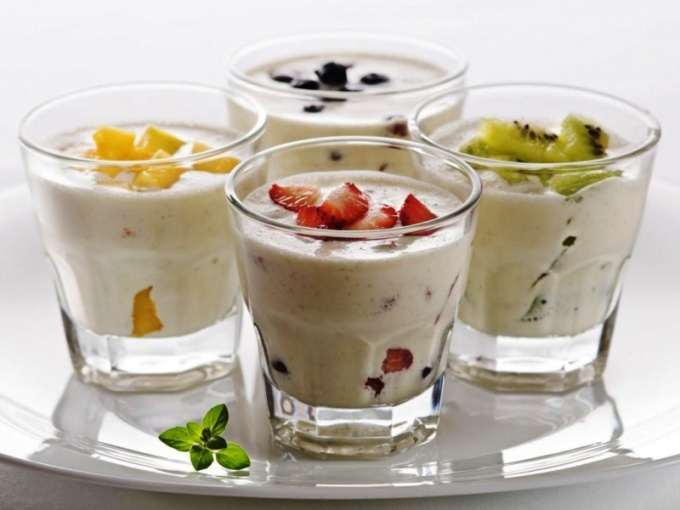 Homemade yoghurt guarantees the naturalness, freshness and the absence of dyes. And no need to think what to make yogurt at home is very difficult and troublesome. Even if you have no special noisy, not a problem. The process of making yogurt is quite simple, the interaction of the live yogurt bacteria and lactose under certain temperature conditions. Low-fat dairy products, according to nutritionists, contain less amino acids and complete protein. For the preparation of low fat fermented milk product you will need skim milk, a special starter culture (which can be purchased in a drugstore) or a glass of conventional fabrics. Please note: cheese must be fresh. In addition, if desired, to the finished yogurt can add a variety of syrups, fruit pieces, jams and other toppings-the toppings. To start cooking you should be preparing the milk, which you must first bring it to a boil and remove the foam, and then cooling to room temperature. Then warm milk to enter the yeast or cheese and mix thoroughly. The mixture need pour into molds and place in yogurt maker for the process of fermentation, which usually lasts up to eight hours. If the farm is not noisy, you can use any deep container, where you want to place a bowl of yogurt mass and pour warm water so that the water does not get into the product itself. Capacity the maximum required to seal with plastic wrap or a lid and put in a warm place. Nonfat yogurt homemade – a storehouse of useful substances and vitamins. But to keep milk products wholesome and nutritious substances, it is necessary to complete the fermentation process. For this is ready, the yogurt should be cool, and then store no more than weeks in a well sealed container in the refrigerator. 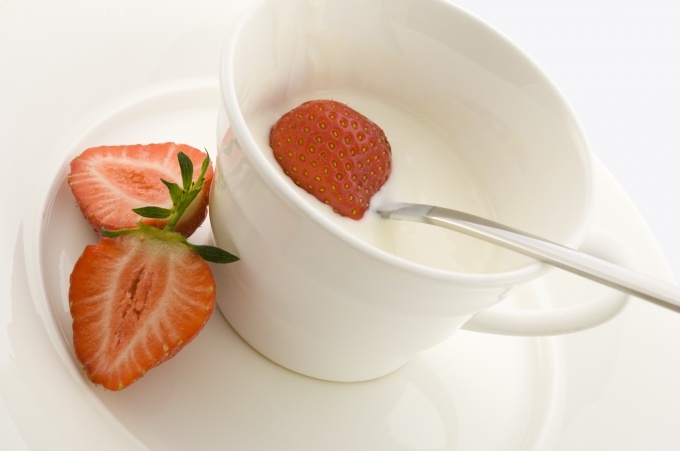 To yogurt contain only useful and "good" bacteria, fresh milk must be boiled. And, in addition, do not forget that homemade low-fat yogurt – a great base for cooking many delicious dishes, such as sauces, sweet desserts and smoothies.